Trip #1 and Trip #2 can be paddled back-to-back for a 14 mile paddle. that has an EZ dock at the launch and an EZ Dock at the take-out. New Universal Access floating boat dock with EZ Dock for kayaks. There is ample off-road parking east and south of the bridge. The river channel is easy to follow. or 3 miles west of Cedarville on West Cedarville Road. This park is on the north & west corner of the bridge. (there are 3 unmarked river bridges on West Cedarville Road). 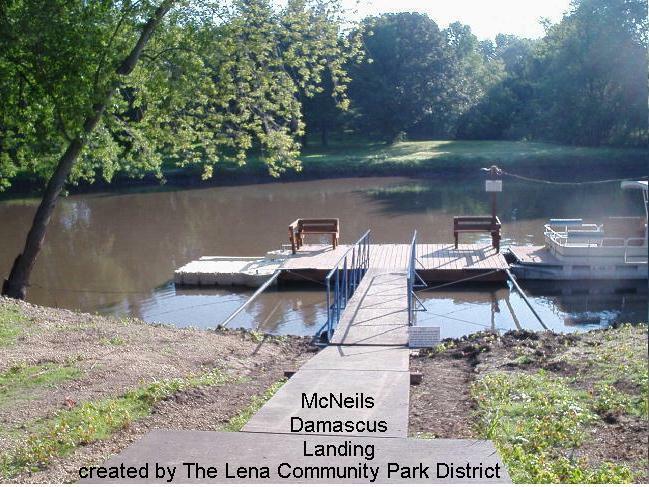 McNeil's/Damascus Landing now has an elevated driveway and a 80' X 130' parking lot that is graveled. fire pit and grills are all available along with electricity. Happy Camping! 1. From the Put-IN, turn right on West McConnell Road, go about 3/4 mile thru McConnell. 2. On the east side of town, turn right at the Fire Station staying on West McConnell Road, go about 3/4 mile. 3. Turn right onto N. Damascus Road, go about 4.3 miles to West Cedarville Road. 4. Turn right onto West Cedarville Road, go about 1/8 mile to McNeil's/Damascus Landing. 5. The driveway to McNeil's/Damascus Landing will be on the right, just after the Bridge. 1. From the TAKE-OUT, turn right on West Cedarville Road, go about 1 mile to Flansburg Road. 2. Turn right onto Flansburg Road, go about 4 miles to West McConnell Road. 3. Turn right onto West McConnell Road, go about 1/2 mile to McConnell Bobtown Landing. 4. 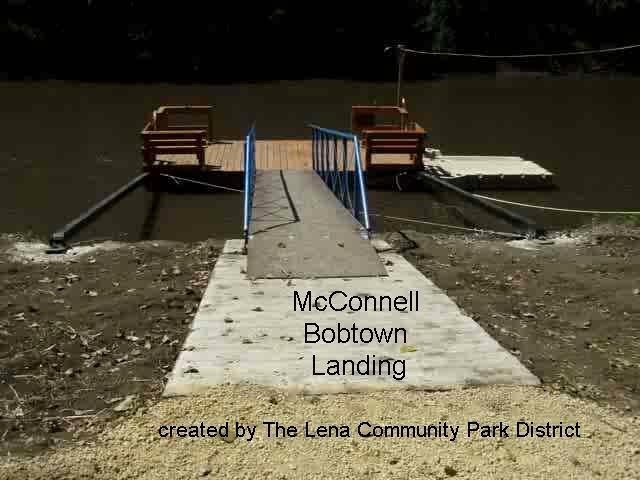 The driveway to McConnell Bobtown Landing will be on the right, just after the Bridge.